I have been shooting with Olympus cameras using the raw format (ORF) since 2004. For my previous cameras I have been able to see the thumbnails in both Photoshop and Windows Explorer. However now that I’m using the EM1 Mk II, thumbnails are not visible. I can see them in Olympus Viewer, but would prefer they also be visible in Explorer and Photoshop. Olympus could not help, but suggested it was an Adobe issue. Can anyone help? @Richard_Sandor, @Keith_Bauer, maybe you guys know. ut would prefer they also be visible in Explorer and Photoshop. Olympus could not help, but suggested it was an Adobe issue. Can anyone help? Speculating here, because I don’t know Olympus from Olie. But if your model is a relatively new release, ACR may simply not have caught up to it. That was the case a couple of years back when I bought the then-new Sony RX100V. In a matter of months Adobe released an update of ACR and it was covered. What version of Photoshop are you running and what version of adobe camera raw are you using. When you say you can’t see the thumbnails in Photoshop, are you talking about Bridge or LightRoom? Doesn’t make sense to talk about thumbnails in Photoshop except for the Home Screen, but that is only available in some of the latest versions of Photoshop CC (2018 and later). For Windows, what version of Windows. Sounds like an issue with old software to me as the EM-1 Mark II has been around for a couple of years. Keith, I’m on Windows 10 using Release 19.1.4 of Photoshop CC 2018, the annual subscription. 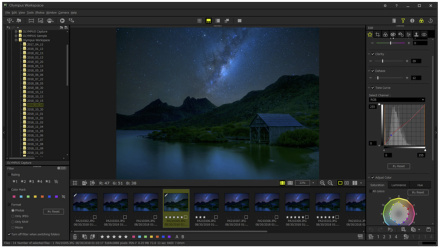 I don’t know what version of Adobe camera raw, don’t know where to find that. Thanks for your help. I sent you the link, you may want to take a look at it…! Appreciate the help guys. Seems that both Photoshop CC and camera raw are not current. I was under the impression my software was automatically updated, so I’ll check it out. I want to go back to your original question. To see thumbnails in Windows explorer is solely a Windows problem. It has nothing to do with Photoshop. 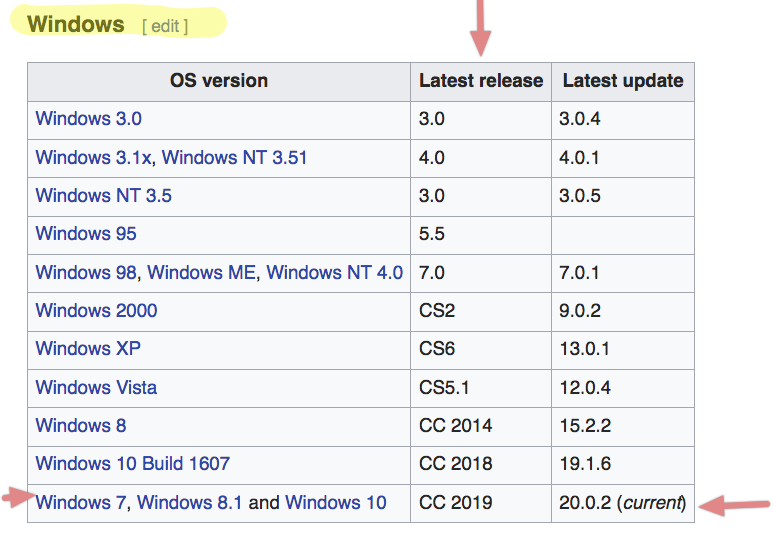 You need to go search Windows sites for help on a plugin or software update to allow Windows Explorer to read Raw files and generate thumbnails. You said you can’t see thumbnails in Photoshop. I still don’t know what you mean here. Are you talking about Adobe Bridge? Photoshop only shows thumbnails on the opening Home screen (if enabled), and then it is only recent images you’ve worked. So, please describe the PS issue in more detail. Here’s a screen shot of what I mean from PS. Thanks @Keith_Bauer & @Ed_Fritz for your responses. I can open the ORF files fine, it’s just that the thumbnails are not visible. Keith, I am downloading the latest versions, which is taking awhile. Thanks again to you both for your assistance. Thanks again @Ed_Fritz & @Keith_Bauer for your interest. I mainly want the new ORF files to be visible in Photoshop and Windows Explorer like they have been in the past. After updating CC2019 still no thumbnails visible. Keith mentioned it’s likely a Windows thing, so I’ll have a look for a plugin. Ed, that link from Scott Bourne looks really interesting, and I’m confident more flexible than Viewer 3, so will definitely check it out. Appreciate your help. I don’t know if it’s the same issue, but several years ago I wasn’t able to view RAW images in the Windows file system. I installed Fast Picture Viewer and it made them visible. I can’t remember if I had to change default programs, but it’s carried on working just fine with the conversion to Windows 10. I mainly want the new ORF files to be visible in Photoshop and Windows Explorer like they have been in the past. 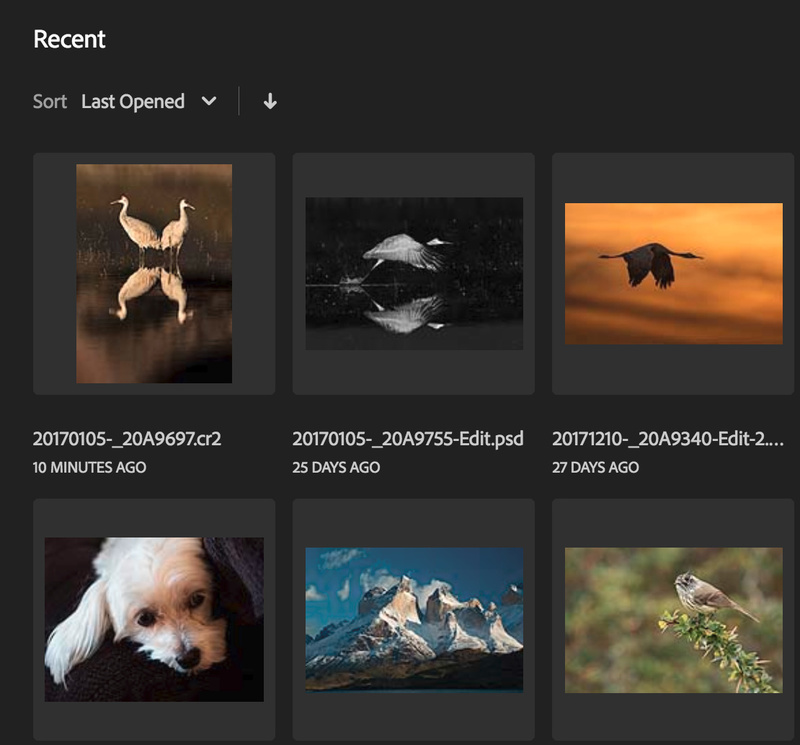 After updating CC2019 still no thumbnails visible. Bill: I asked a couple of times with no answer. What thumbnails are you talking about in Photoshop? That doesn’t mean anything to me. 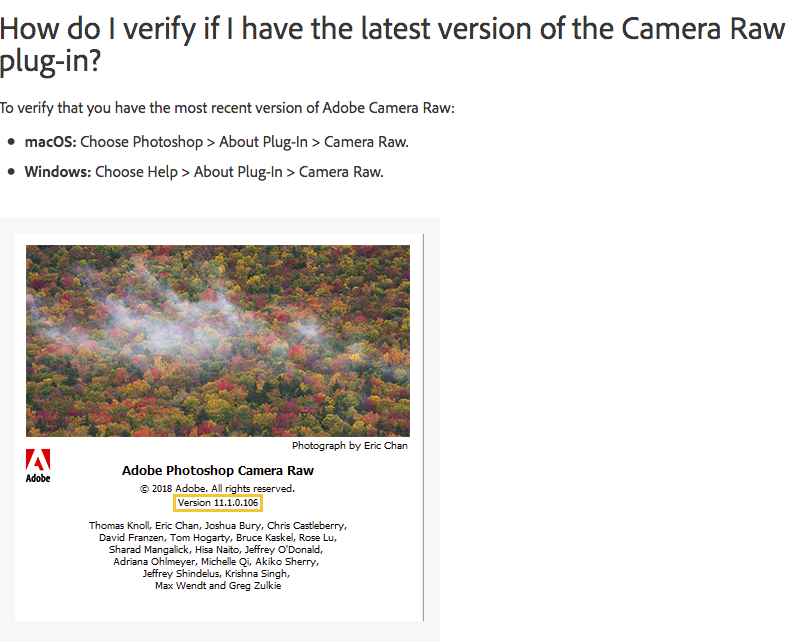 Are you referring to Adobe Bridge? If the only place you normally see thumbnails is Windows Explorer, as I said, that has nothing to do with Adobe. If you are used to seeing them someplace else, please let us know to try to be clear on the issue. @Keith_Bauer, sorry I thought I’d made it clear. For both Photoshop CC2019 and Windows Explorer I was only interested in the ability to see thumbnails, nothing less and nothing more. I have no problems accessing or editing the files in the software, from either Explorer or Photoshop, just can’t see thumbnails. I can still see ORF files from past cameras, E-1, E-3 and E-5, just not with for EM1 Mk II. @Dennis_Plank, maybe that’s the answer. Keith has already mentioned options like that. Bottom line guys, it’s really no big deal, just a convenience. One more silly thought, Bill. 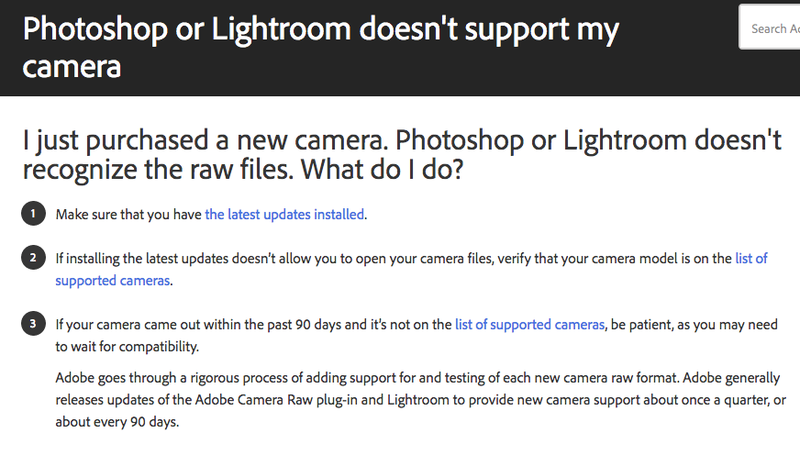 Do you use LightRoom for photo management? If you do, check to make sure you didn’t accidentally lose the default for importing files that creates thumbnails. I can’t remember the exact commands, but it’s part of the file import setup. It might be as simple as that. Not sure what you’re referencing. No matter what settings you use during a LR import, you are going to get Thumbnails. There is a setting to change how big the thumbnails are, but there is no way to turn them off. I’m probably wrong the, Keith. I think I was thinking about the “build smart previews” item. My mistake. Thanks for pointing out the new software. After my PC recently crashed and burned, I downloaded the new Olympus Workspace from their website. Since I’m still getting back up to speed, I haven’t spent any time with it, but I’m confident that compared to Viewer 3 it’s sure to be an improvement.